Are you kids little spunky monkeys? Then these socks are for them! 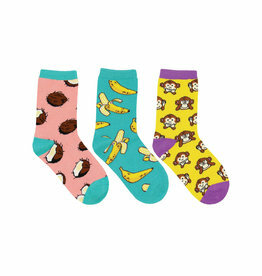 Featuring a variety pack of Monkey-No Evil, That's Bananas, and Coconutty, these socks are sure to show off your kid's wild side. Socksmith Kid's Spunky Monkey, 6-12 mos.